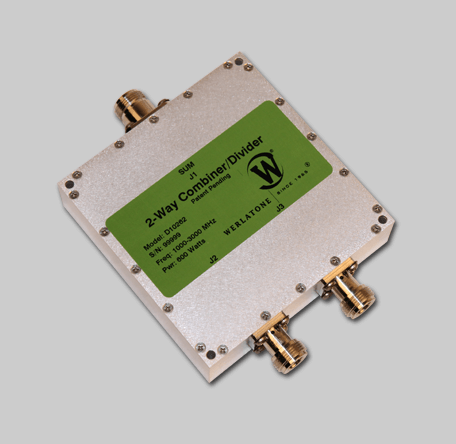 This 2-Way Combiner/Divider is rated at 600 W CW, and operates with full port-to-port isolation of 17 dB minimum. This high power combiner is designed to handle one input failure, while operating at a +70°C baseplate temperature. Ideal for coherent or non-coherent combining, the D10262 is suitable for multiple military applications.